Bradford’s Science and Media Museum, commissioned London based studio, Lucienne Roberts+ to design two illuminated signs for their new, state-of-the-art interactive gallery called Wonderlab. Wonderlab is aimed at a young audience but also features breath taking live shows to hold the interest of adults and children alike. Taking light and sound as the theme, the exhibition is both visually exciting as well as educational. Visitors are able to experience lots of interactive exhibits such as an anti-gravity mirror, a musical laser tunnel as well as one of the world’s first 3D-printed Zoetrope installations. 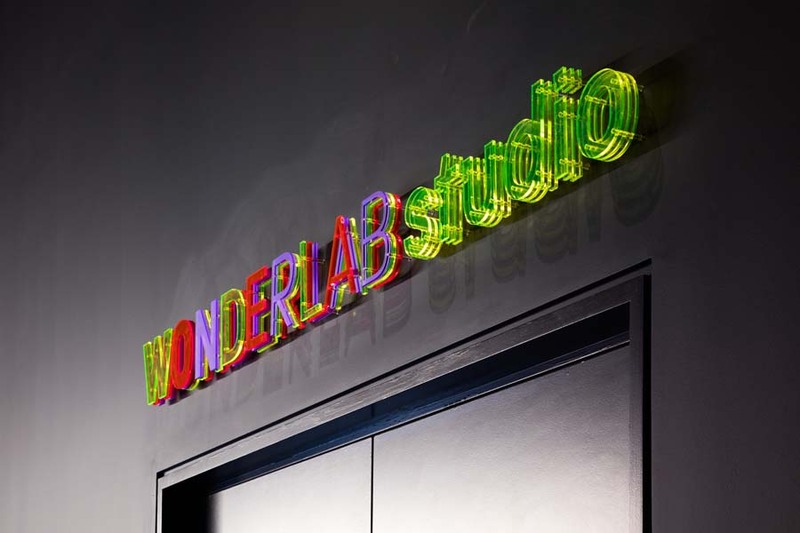 Both Wonderlab signs were designed as multi-coloured and glowing forms in order to set the tone and reflect the energy and excitement of the new gallery. 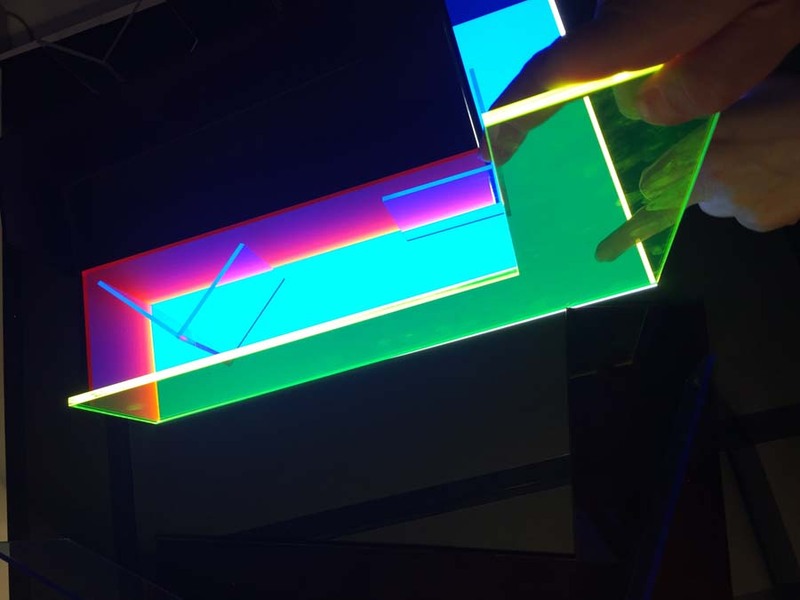 We were delighted to be asked by Lucienne Roberts+ to create the 3 metre Wonderlab signs, which we did using different techniques with fluorescent acrylic. For the main entrance sign we made wooden forms, bending the curved letters using heat and saw cutting the straight letters with polished edges. For the studio sign, we laser cut layers of acrylic and rods. Then, by spacing the acrylic apart on the rods we formed the letters. Following the successful production of these two signs we are now working on a third, for the Wonderlab shop. 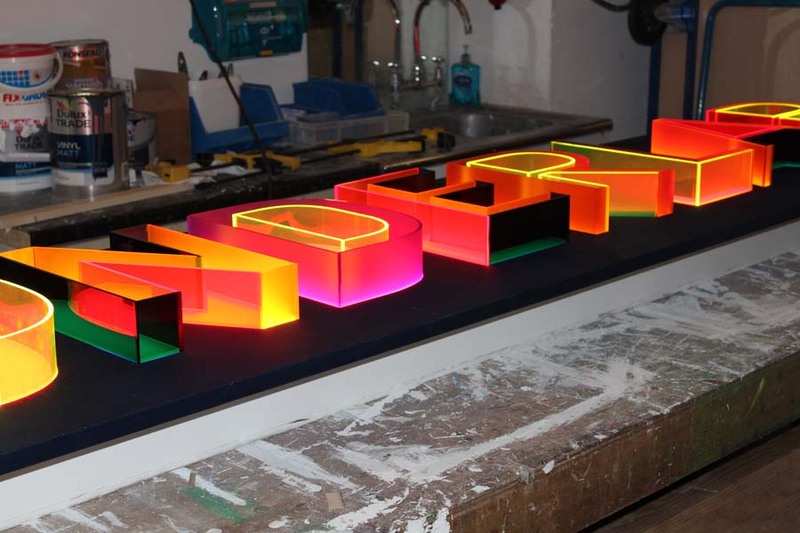 These stunning illuminated signs have proven extremely popular on social media and have attracted a lot of attention on Twitter.